YANA Cancer Comfort is a 501(c)(3) non-profit, non-denominational Christian charity organization comprised of cancer survivors that want to provide faith, hope and love to cancer patients to let them know “You Are Not Alone”. Our mission is to send comfort care packages to cancer patients, that includes a hand-tied fleece blanket, handmade cap, devotional, and a personal note of encouragement. YANA Cancer Comfort has partnered with hospitals and cancer treatment centers like Cancer Treatment Center of America, Providence St. Joseph’s, Mission Hospital, all the while continuing to send comfort care packages directly to individual cancer patient homes worldwide. Corporations like Intel, Ingram Micro, Applied Medical, Starbucks and Wells Fargo, and volunteer organizations like Hands-On America, have volunteered to hand tie blankets to touch the lives of people affected by cancer. With volunteer support, we can provide comfort care packages to cancer patients with items to keep them warm during treatment and inspiration to give them hope during their fight against cancer. Our focus and passion derive from unfathomable statistics that 1 out of every 2 men and 1 out of every 3 women will be affected by cancer in their lifetime. According to the American Cancer Society over 1.6 million people are affected by cancer every year. YANA Cancer Comfort has no paid employees and is entirely volunteer lead. 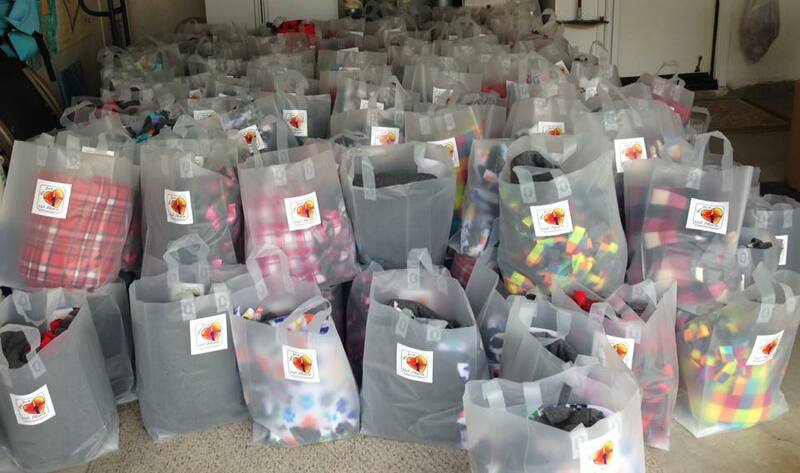 100% of donations are used to purchase the items for the comfort care packages. $25 will send a comfort care package to a cancer patient. All donations are tax-deductible. Make a donation today or set up a monthly recurring donation!